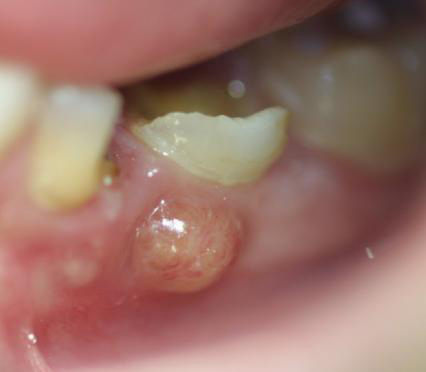 An Infected Tooth – To Keep or not to Keep? Our teeth are susceptible to infections. 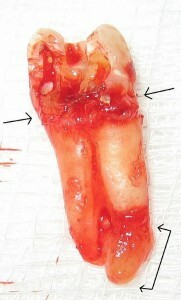 The sources of infection are multiple: decay, cracks, leaking fillings, teeth grinding and trauma. In most cases, a dying tooth “announces” itself through pain (sometimes excruciatingly) and discolouration of the tooth itself. As the nerve dies, bacteria will colonise the pulp chamber and produce toxins. These will slowly accumulate within the chamber itself and at the tips of the root. The body will do its job in ‘walling off’ the pus, but toxins can breakdown these soft tissues and will slowly expand. Patients sometimes complain of a “pimple” or a “swelling” when the pus is close to the surface of the gums. Dentists usually recommend root canal treatment to patients with a tooth infection (if the tooth is worth saving). Root canal treatment involves the cleaning out of dead tissue and bacteria within the pulp chamber through mechanical and chemical means. The canals are then “sealed” with an inert rubber-based material and medicaments which function to kill and “entomb” any remaining live bacteria. However, to the best of the abilities of the dentist, a small amount of bacteria will always remain. Research has put this figure anywhere between 5 to 10 percent of bacteria, but the hope of a root canal treatment is that these bacteria will be “entombed” or “walled off” by the body and will cause no further harm. Before moving on, let us try to understand why 5-10% of bacteria remain within the canal. The term “canal” gives a misrepresentation that the root canal system is a straight hollow tube. This is not true. Instead, it has one (or a few) main canals that gives off multiple branches. These branches are tortuous and have further smaller branches which shelter the bacteria away from mechanical and chemical cleaning. The traditional view is that once the canal is sealed, these bacteria will slowly die away because of the lack of nutrients and oxygen. However, more and more research are showing that certain species of bacteria (like Enterococcus faecalis) can survive in this harsh environment without food and oxygen for extended periods of time (years). Not only does these bacteria survive, they can also grow and multiply, causing a persistent infection which triggers the immune system. Our immune system is a finite system – if a large portion of it is spent fighting a persistent infection around a dead tooth, it will not have enough to fight inflammation elsewhere in the body. Proponents of root canal treatment usually quote the high success rate of root canal treatments in which the patient remained symptomless years after the procedure but the effectiveness of our immune system is subject to numerous factors such as age, stress levels, and diet. There are many potential triggers that might tip the scale between health and disease. If we can eliminate one source of persistent infection, should we not consider it? We will continue to answer this question in tomorrow’s post!